Microfiber Wool Duster, Unique Patented Item That Attaches To Unger's Connect and Clean System Or Standard Acme Threaded Poles To Clean Those Hard To Reach Areas, The Head Is Bendable To Reach Flat Surfaces Above With A Pole, For Example A Book Shelf, The Product Simulates A Natural Wool Duster, But Cleans 10 Times Better With The Microfiber Sleeve, Microfiber Sleeve Is Machine Washable Without The Use Of Fabric Softeners. If you have any questions about this product by Unger Industrial, contact us by completing and submitting the form below. If you are looking for a specif part number, please include it with your message. 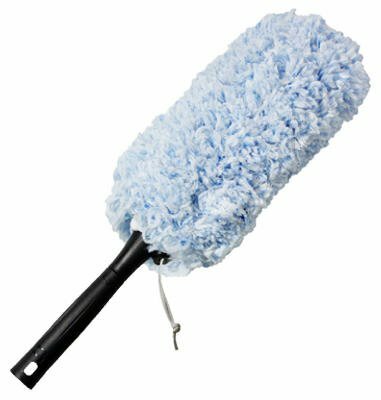 UNGER INDUSTRIAL INC 961420 TELESCOPIC LAMBS WOOL DUSTER 28-43"